CES proved again in 2018 why it's the world's leading technology exhibition. Neither record-setting Las Vegas rideshares nor blackouts at the Las Vegas Convention Center were enough to keep event crews from dazzling press and attendees with "Whoa!" experiences, to borrow the event's emphatic tagline. CES 2018 was a world unto itself, with nearly 300 satellite conferences happening up and down the Strip. Meanwhile the media circus surrounding the event was truly out of this world. By comparison, CES 2017 garnered nearly 1,000,000 social media mentions and 60,000 media mentions. That's enough mentions to approach the biggest sporting events in the world, such as Superbowl LI and Olympics 2016. 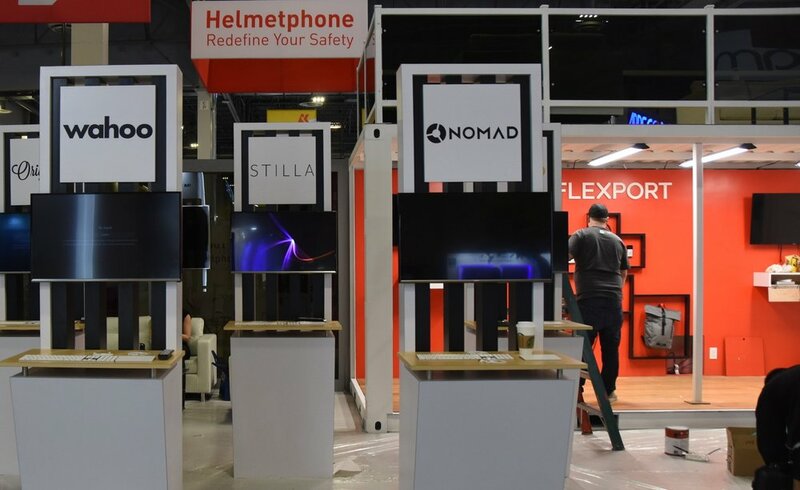 For many exhibitors, especially larger companies in our Enterprise category, the primary goal of CES is media attention and influencing the influencers. Every year, expectations grow higher. CES 2018 had nearly 4,000 exhibitors or 10x as many as Dreamforce (see the The Best Event Marketing at Dreamforce 2017). To capture the attention of journalists, the Enterprise exhibitors needed to deliver not just innovative new product launches, but also showcase them in remarkable ways. See below for the best Enterprise exhibits. For CES 2018, with so many exhibitors to cover, we've also included a Startup category. 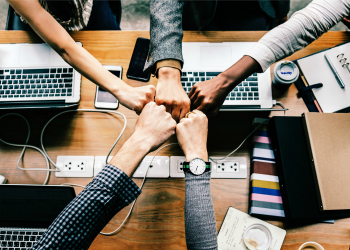 While operating on much tighter budgets, these startups exercised their event marketing muscle with creative strategies that delighted attendees and delivered real, measurable results. Here's a recap of the best event marketing at CES 2018! From an epic 250 drone show above the Bellagio fountains to ultra-vivid immersive VR experiences, Intel went all-out for CES 2018 with dozens of exhibits activations. As a component company (think "Intel Inside"), CES provides an important opportunity for the company to activate its brand and portfolio of next-generation tech to a much wider audience on annual basis. Intel's CEO also used his 2018 keynote to address a major PR crisis, due to a security issue, emphasizing the company's partnerships with and support from trusted tech brands, like Google and Microsoft. 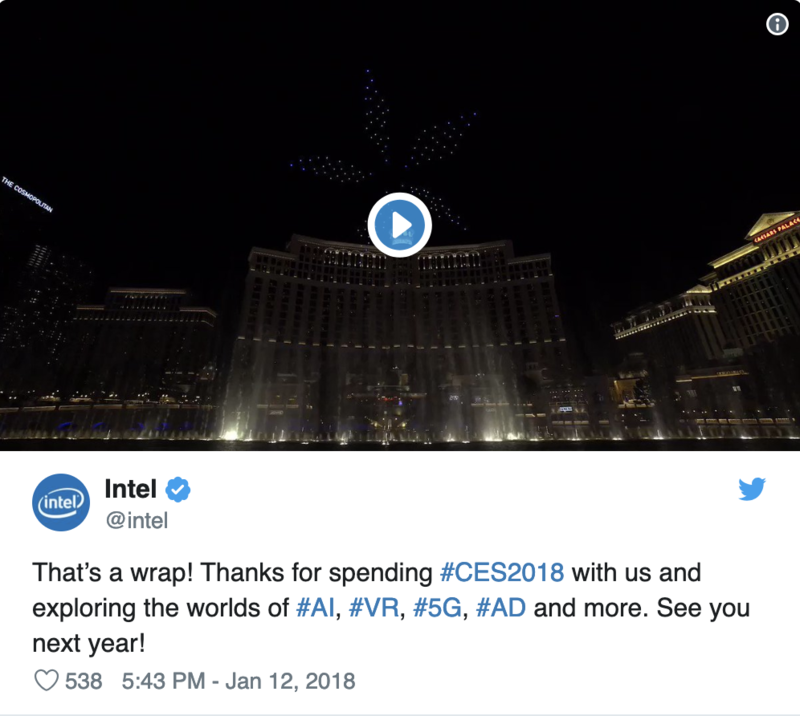 While not great timing for Intel by any means, the company effectively used dazzling demos at CES 2018 to redirect the conversation back to its core message - that "Amazing" is powered by Intel. 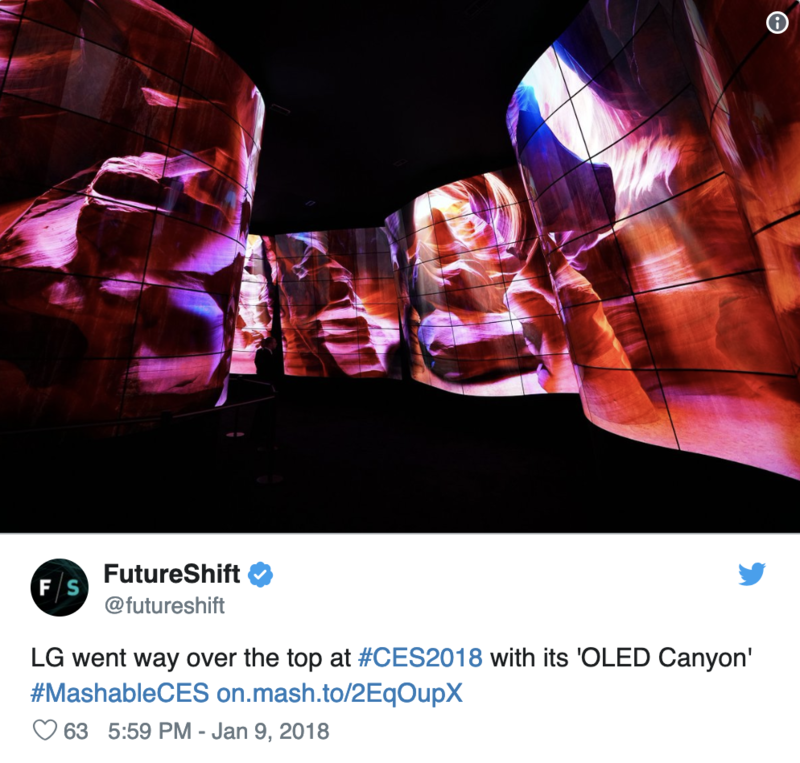 One of the most shared images of #ces2018, LG's TV canyon transformed the main entrance of the Las Vegas Convention Center into a "better than the real thing" ultra-vivid naturescape series of red rock canyons and giant Sequoias, captivating both attendees and their cell phone cameras. Storied photography brand Polaroid was revitalized at CES 2018 with a super fun and highly photogenic exhibit, featuring plenty of selfie opps in front of its iconic hardshell cameras and classic monochromatic branding. 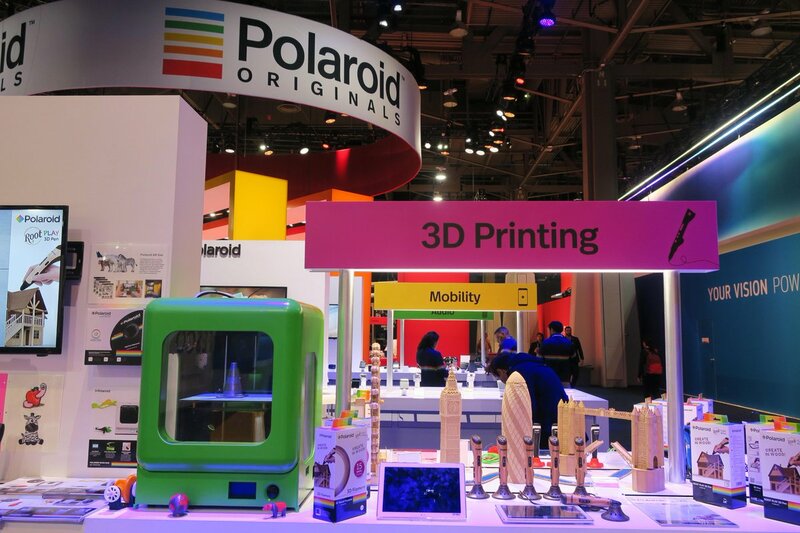 While Polaroid long ago quit the bleeding edge of technology innovation, the Polaroid exhibit certainly won CES 2018 by sheer count of visitors' smiles. No brand was more partnered up and omnipresent at CES 2018 than Google Assistant. 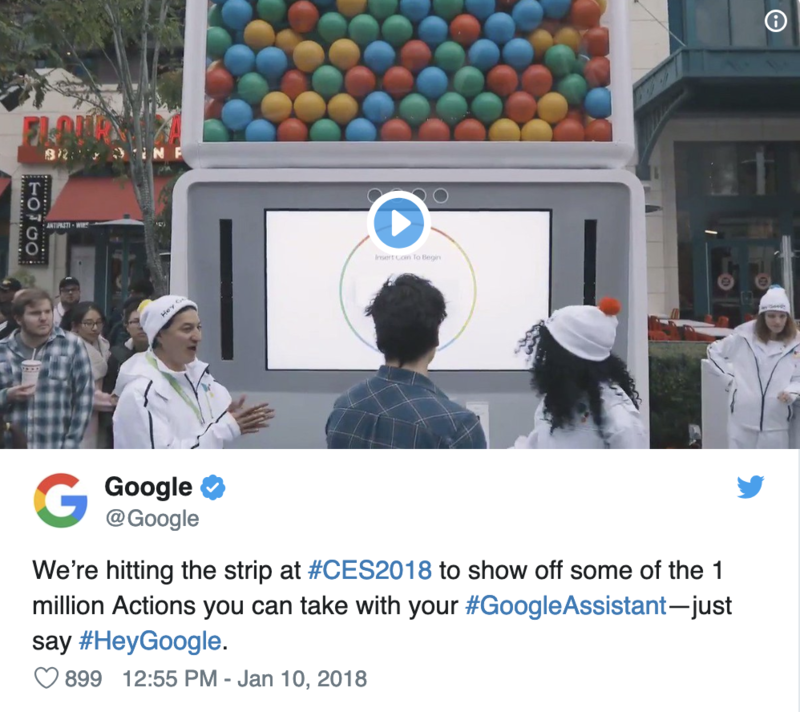 Google came out hustling at CES with 20 foot high AI voice activated gumball machines, a 3 story playground, a Las Vegas Monorail wrap and hundreds of brand ambassadors strategically placed at partner exhibits throughout CES. The reason for all this hoopla? With Amazon ahead in the race to power smart device AI, Google needed to play catch up and introduce its answer to Alexa. Enter Assistant, the AI behind Google Home. Thanks to CES 2018, we now know that Assistant also powers 150+ smart products, everything from watches to home appliances to cars. Get ready to unlock your team's best events yet. IndieGoGo, the crowdfunding platform popular with many young hardware companies, scouted out the main intersection of Eureka Park, the startup section of CES 2018. Hundreds of startups from France, Singapore, Israel and many other countries laid out the entry-level floor of The Sands Convention Center. IndieGoGo's strategically positioned booth was literally at the center of it all, with interviews, panels and demos featuring hardware inventions that got their first funding on the platform. 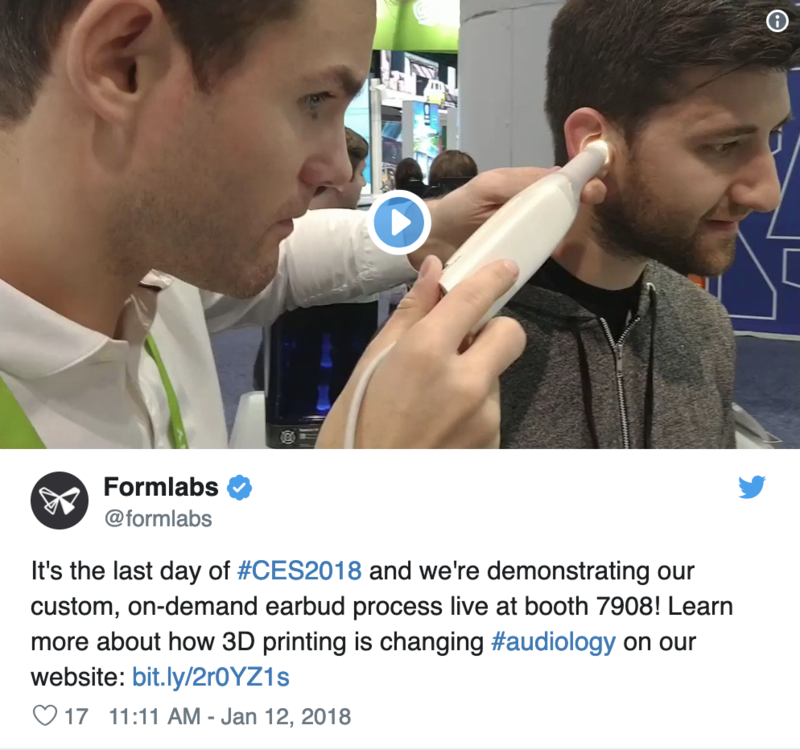 Give credit to the creative tinkerers at Formlabs for coming up the most personalized audio product at CES 2018, if not the one most likely to give attendees a case of the willies. The 3D printing company pushed the boundary of event engagement all the way into attendee's ears, where brave audiophiles could walk away with a perfect fitting set of new headphones. Small price to pay for the last pair of earbuds you'll ever need! Flexport, the software-powered freight forwarder, brought their own shipping container to the CES 2018 exhibit floor (talk about easy booth shipping!). The logistics platform showcased some of the incredible array of products it ships across the high seas everyday, from Ring smart home security doorbells to Cozmo interactive AI toys. 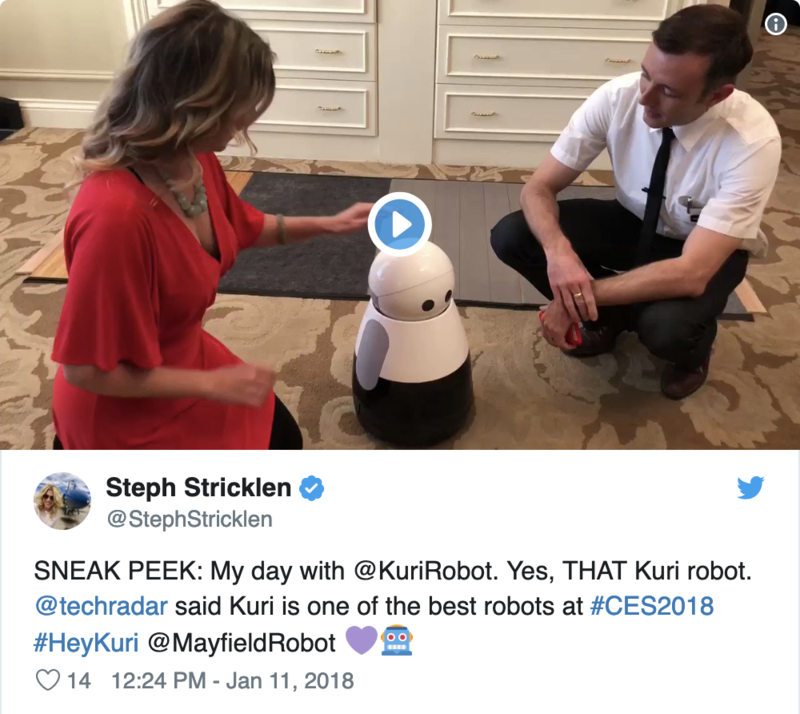 Mayfield Robotics, maker of the lovable home robot Kuri, took CES 2018 from a strategic PR standpoint, opting for a tongue-in-cheek executive suite over a splashy exhibit on the show floor. The intimate setting was subtly but thoroughly outfitted with robot-themed books on the shelves and framed photos of family members with the adorable robot pet. The strategy paid off as journalists got to play and fall for Kuri, on camera, in a home-like setting. And that's a wrap! CES 2018 is over and done with, but we'll be talking about the incredible exhibits and demos until next year. 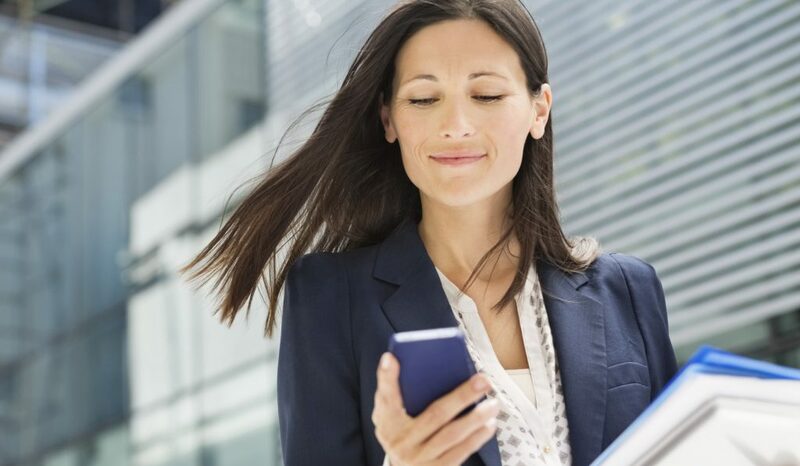 Want more event marketing highlights? Check out The Best Event Marketing at Dreamforce 2017.